I probably shouldn’t even write this blog post, as it will expose my true nature as a wine snob – this is something which I would always vehemently deny. Or maybe it is just about a human nature, and you might see your own reflection in my words. But hey, to make it all better, I will share with you a recent delicious wine discovery. Few days ago I took a customer for dinner to the Seasons 52 restaurant (an outstanding dining place deserving its own post – I will plan to write one so I don’t have to inundate you with the food pictures). The wine list was well designed [by the Master Sommelier George Miliotes, who is in charge of wine selection at Capital Grille and Seasons 52 restaurants] with a good number of options from different regions around the world. I scanned through the list, looking for the interesting wines which would be also reasonably priced. Yes, I understand that “reasonably priced” is an extremely personable category – so I’m generally looking for the wines under $80 – everything above requires either super-special occasion or a unique wine. Fitting this criterion, I saw two wines – one from South Africa and another one from Chile. Great thing about Seasons 52 is that lots of wines are available by the glass – which means you can taste them. Two bottles arrived at the table. We tried South African wine first – it was excellent, dry and spicy. Then the Chilean wine was poured into the glass, and I was blown away – this was simply a “wow” wine. 2011 Emiliana Coyam Colchagua Valley, Chile (13.5% ABV, 38% Syrah, 31% Carmenere, 10% Merlot, 10% Cabernet Sauvignon, 1% Mourvedre, 1% Malbec, Biodynamic® grapes) had a nose of concentrated dark fruit, the one which informs you succinctly “I will be delicious”. That spectacular nose followed by the multi-layered, roll-of-your-tongue, texturally present goodness, with lots of fruit, dark chocolate and perfect acidity. An overall package which makes an oenophile ecstatic – I’m sure you got my point. (Drinkability: 9-/9). Where is the promised talk about power of perception, you ask? Yes, this is what this post was supposed to be all about – so let’s talk about it. My wine lover’s path took me through a fair share of Chilean wines, which were concurring the U.S. market at that time. Do the names such as Frontera and Concha y Toro mean something to you? Cabernet Sauvignon, Chardonnay, Merlot – all priced at around $7 for the regular bottle, or around $11 for the magnum; perfectly drinkable for what they were. This was many years ago. Yes, there were and there are wines like Los Vascos Reserva and Terra Noble Gran Reserva – which are again perfectly drinkable at around $15. And of course I’m aware of the wines such as Don Melchor or Casa Lapostolle Clos Apalta (both are trailing $80), but those are registered in my mind as an exception rather than the norm. So here at the restaurant, the Emiliana wine was $72 on the list. To be entirely honest, and this is where the power of perception comes to play, if I wouldn’t be with the customer (meaning – I’m not paying for the dinner), there is practically no chance I would chose Chilean wine for that amount of money. I wouldn’t even blink if that would be Ridge or Turley (both can be found on the restaurant wine lists for about $70) – but not the unknown Chilean wine. Yep, the mind is interesting like that – some decisions are made on the subconscious level and you need to actively intervene to change them. To dig myself even deeper, I can tell you more. I was so impressed by this wine that the next day I checked the trusted wine-searcher to see how much this wine would be in retail. It showed up well available in the U.S. for about $30. The first running thought – “hmmm, this is expensive for the Chilean wine”. Luckily, the second thought was “man, you are crazy. You just had this wine and it was stunning – what do you mean expensive?” Again, preconceived notions, perception are so hard to deal with – they try to take control whenever possible. This $30 bottle of wine would beat lots and lots of California wines priced at $100 or $200 – I don’t want to name names, but I seriously mean it. And nevertheless, I need to make an effort to understand and consciously accept it. Perception is a formidable force when it comes to wine. 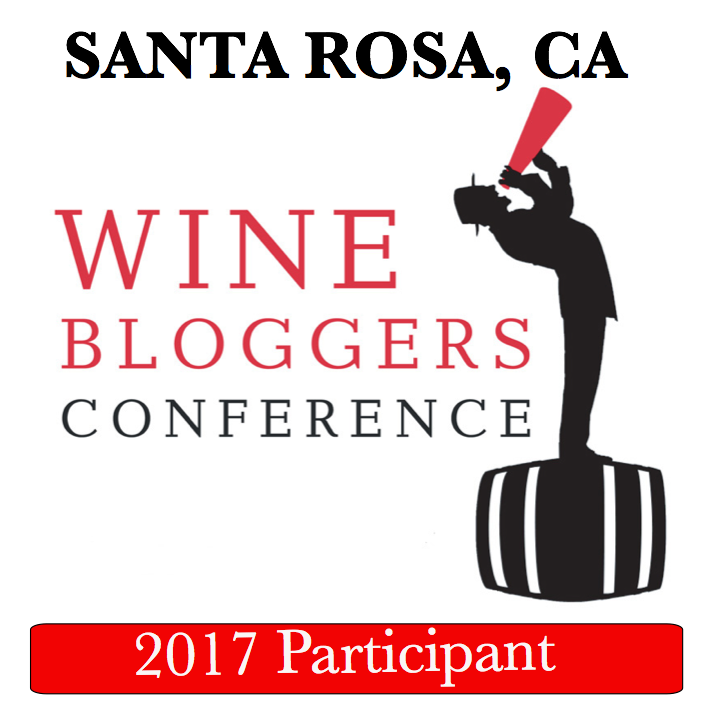 Don’t know if the wine world is all so unique in regards to perception, but at least this is the subject of interest here. We all know the prolific effect of the producer’s name, label, price, critic’s rating and many other factors on the way we buy and perceive the taste of wine. But the power of the prior experience was somewhat a revelation for me, hence this post. So, do you have a story to tell? I’m listening… Cheers! This is a great wine. I had it an event and I paired it with a lamb shepherd’s pie bite. Divine. Lamb shepherds pie… Mmmmm… Sounds good – I can easily imagine this wine pairing perfectly with it. Glad you liked the wine too! Great article. Thank you for your honesty. First there is a Season 52 & Capital Grill less than 5 miles from my house; great food; great wine lists; over-priced but that’s another story. 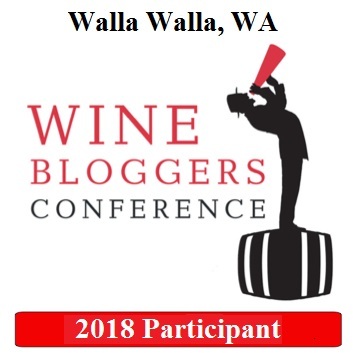 Second, in my short time as a blogger I have overwhelming learned that great wine outside of the western US can come in at super reasonable prices, be open to any wines especially international wines, and never judge a wine without tasting it. The general public are not wine snobs. The wine industry makes very inexpensive wine then talks down to those who drink it. I certainly have my tastes and standards and to may even come across as a wine snob (I sure hope not) but in the end the absolute best wine is the wine you like and you liked that fantastic Chilean wine! Though I now have a list of Spanish wines to try based on your excellent articles; this article is the one that will get me to search for this wine right away! Well done my friend! Cheers! Thank you for the kind words, Michelle, glad you liked the post! Hope you will like the wine too – looking forward reading about your impressions. I remember you posting this wine on Twitter and luckily it is available also in Germany and so I’m planing on buying this one soon. 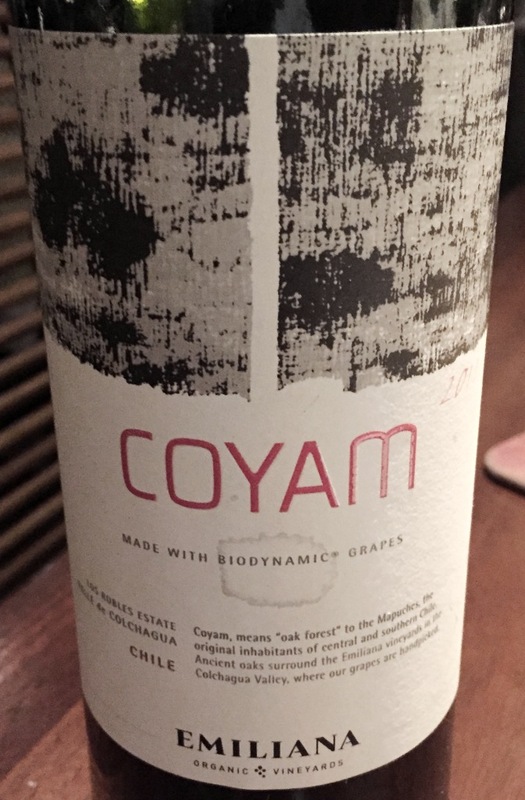 I’ve previously tasted Emiliana’s entry level wines,”Adobe Cabernet Sauvignon” and “Adobe Carmenere”, which offered good value for money (about €10/bottle) but were not mind-blowing so I’m looking forward to try the Coyam (about €20/bottle). Will be looking forward to your notes! I’m searching this chilean wine as soon as I leave work. Yummy!! Let me know how you will like it! Great article, I know exactly what you mean. Perception is a big part of wine prices. How much can production of a high quality wine cost? $50 per bottle maximum? Yet there are bottles out there for more than $1000. Most of that is our (“our” as in the wine loving public) willingness to pay that kind of money for the perception. I recently tried a Montrachet Grand Cru for the first time and it was really really really good. Not sure how much more I liked it just because I had paid 330 euros for it though. Price of the wine is probably the most influential of all the “offenders” here. And the best way to see the wines for what they are is to taste them blind – this way, you really assess just the wine without any preconceived notions having any impact.